In fall 2015, what turned out to be the largest road-improvement project in Lake County history provided a Canadian National Railway overpass at Rollins Road, along with additional lanes and a modified intersections at Rollins and Route 83, which eased flow to an estimated 41,500 vehicles per day. Lake County and the Illinois Department of Transportation must pay $7.1 million to the owner of a Round Lake Beach shopping center as compensation for land taken and other damages as part of the Rollins Road Gateway Project. A knowledgeable insider explained how the Lake County Treasury operates: "One $7 million wrongful eviction lawsuit here, one $7 million wrongful eviction lawsuit there, and pretty soon you're talking real money." Note to Railroad Ops: Always build your tracks over the road. Railway underpasses are subject to floods. Just sayin! DuPage County Board Vice Chairman John Curran has been appointed to replace the state senate seat left vacant by Christine Radogno, a Lemont Republican, officials said Saturday. 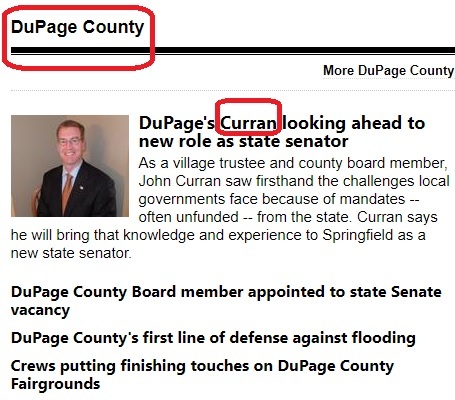 Curran has served as a DuPage County Board member since 2008, most recently as vice chairman since 2012. Curran no doubt should be thrilled at his appointment to the State Legislature. By anyone's estimation this counts as an out-and-out promotion. Curran's tenure as a County-level elected official reaches back to the mid 2000's. And one does not often see a public servant leapfrog out of County government and straight into the Springfield Capitol dome. Your LakeCountyEye sends hearty congratulations to State Senator Curran! An exploding oil train, measured from the tip of the cowcatcher to the tail of the caboose, is 27 miles long. And you would swear it was moving along no faster than ¼ mile per hour. 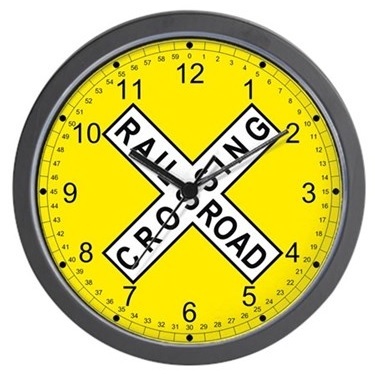 How much time would you have to kill at the crossing before this train rolled by? Answers must be submitted in a SASE. Please show your work. Route 60/83 at the Canadian National Railroad tracks in Mundelein closed Monday morning as work began on repairs to the grade crossing there. The crossing is scheduled to remain closed until 6 p.m. Friday, according to the Illinois Department of Transportation. Note to Ops: This is why you had to learn algebra. Your LakeCountyEye just rowed in from Waukegan Airport. And boy are your LakeCountyEye's arms tired! Haha, If you haven't received your FEMA disaster relief money yet, the check is in the mail, your LakeCountyEye has learned. 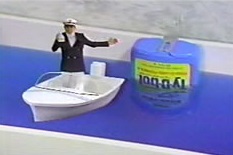 Or as the case may be, in the mailboat. Rauner is getting trounced in the local media for failing to visit, fly over, make a statement — or even send a tweet — after an unprecedented amount of rainfall in northern Illinois caused flash flooding, leaving subdivisions under water, shutting down a major amusement park, flooding a community college and even prompting the evacuation of a local hospital. 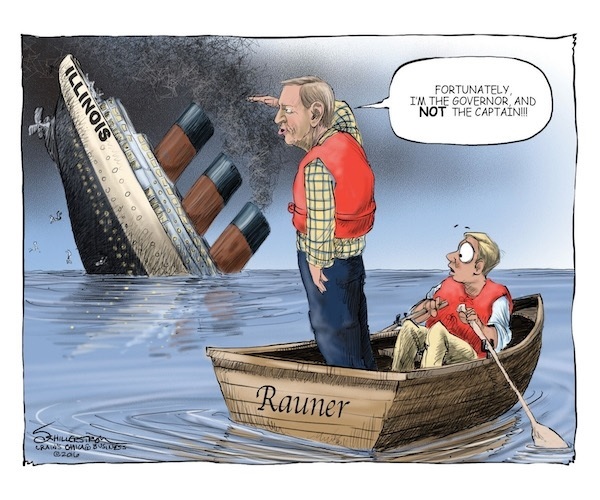 For the record, there is no truth to the rumor that Rauner fell overboard while surveying the floods and has been missing at sea ever since. That is because Billionaire-Governor Rauner did declare Lake County a flood disaster area, the very minute it became a political liability to not do anything. Note to Ops: If a Coast Guard Cutter weighs anchor on your front lawn, you can tell them to call off the search & rescue operation. A haggard-looking Dennis Hastert can be seen in a booking photo released Wednesday -- the first public image of the former House speaker after his 13 months in federal prison for scheming to cover up his sexual abuse of boys. The image comes from the Lake County sheriff's office, where Hastert, 75 -- called a "serial child molester" by a federal judge -- was processed after his release from a Minnesota prison. 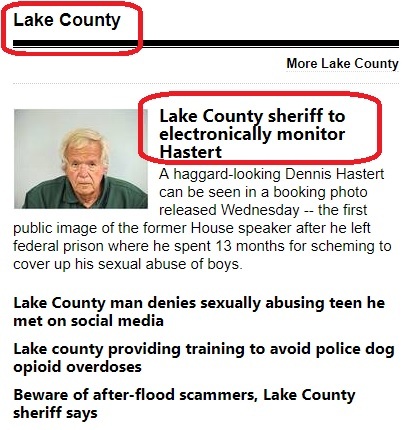 Note to Ops: If Hastert owes you money, this means you won't be able to collect in Waukegan. Gov. Bruce Rauner toured flooded areas in Lake County on Friday as officials warned that the worst is yet to come in some areas, with the potential for record flooding along the Fox and Des Plaines rivers. While some anticipated the governor might declare the county a disaster area when he went to Gurnee around 10:45 a.m. to survey the damage and meet with local officials, he initially did not, drawing criticism from two local Democratic legislators and others. Hours later, at about 5 p.m., Rauner reversed course, issuing the disaster declaration not only for Lake but for Kane and McHenry counties as well. A state disaster declaration makes a wide variety of state resources available that can help communities respond and recover from flooding. Such resources include sandbags, sand, pumps, trucks, inmate crews and other assistance to ensure public safety. Note to Ops: do not try to be reimbursed for repairs to your leaky cabin in the Dells. Illinois Beach State Park will be moved to McHenry County. Scoop the Loop host to classic Land Yachts as well as Sea Yachts. All wrongful convictions henceforth decided under Maritime Law. Lake County sinkholes will be registered as inland lakes. The Race to Mackinac Island to start from Hawthorn Woods. Asian carp are now eligible to vote. No more jokes about why it's called Port Barrington. The Lake County Joint Action Water Agency would be rebranded as the Lake County Water Abatement District. Look for your LakeCountyEye dowsing near you. If the mission of the Lake County Joint Action Water Agency is to bring Lake Michigan water to the homes of Lake County, it may be time to rethink that mission. As of late, most Lake County homes are under Lake Michigan. "Lake County residents have been working to pick up the pieces after major flash floods hit the area. The governor has not declared a state of emergency for Lake County, so residents with devastating property damage and no flood insurance have been unable to get access to low-interest loans that help people rebuild." "Today, the governor will be in Lake County touring flood sites. The devastation experienced by our constituents over the last few days needs to be seen to be understood. Clean up from this historic flooding is going to take all of us working together." "With more flooding expected to occur this weekend, we urge Governor Rauner to do what Governor Walker has already done, declare a state of emergency and call in the National Guard to provide much-needed relief to flood victims. Lake County residents need this help immediately." A spokesman told your LakeCountyEye: "The Governor is an old-hand when it comes to filling sandbags. The Bruce Rauner Turnaround Agenda has been sandbagging the State of Illinois since 2014!" There is no truth to the rumor that a leaky Lake Michigan water pipe in Grandwood Park is responsible for the flooding in Lake County. As a matter of fact the widespread floods were delivered by storms of global warming Biblical proportion. Torrential rains pounded Lake County overnight Tuesday into the Wednesday morning commute, with flash flooding closing major roadways, shutting down Six Flags Great America and the College of Lake County, swamping basements and forcing the evacuation of residences from Mundelein to Fox Lake. One spokesman told your LakeCountyEye: "This is the third or fourth hundred year flood we've seen this century. And it's only 2017. 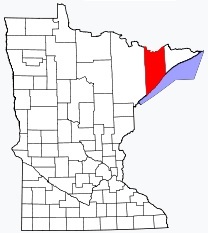 The truth in advertising statutes may obligate us to change the name of Lake County to Flood County." Your LakeCountyEye will keep you apprised when further developments warrant. An often overlooked part of daily life in the 1,900 homes and businesses that comprise Grandwood Park changed last week as Lake Michigan water began flowing from taps, showers and hoses. 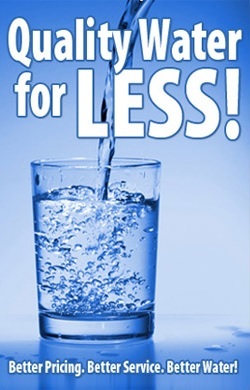 There is no truth to the rumor, your LakeCountyEye learned, that the water is for a new bottling plant that will truck bootleg, tax-free soda into Cook County. he supported the need for a new source after the well system basically dried up years ago during a drought. "It's something we had to do," Carlson said. Note to Ops: unless your lifestyle approaches the lifestyle of the rich and famous be prepared to lose your health insurance. Lake County Congressmen Peter Roskam and Randy Hultgren both voted to repeal your Obamacare. And you're to blame. That's because it's your unhealthy lifestyle that is driving up everyone else's insurance premiums. Haha, the GOP figured out they can keep their premiums low by excluding from Trumpcare those who make poor life choices. And since your LakeCountyEye has never met an Operative who did not maintain the lifestyle of a college sophomore, they mean you! Despair not, however. Trumpcare is all about choices. You may choose to pay a lot of money for a junk policy. Either that or you can make some existential choices, live healthy, and forgo health insurance entirely. 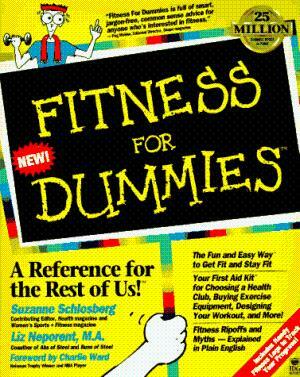 Either way and whether you like it or not, the GOP will make you adopt a healthy lifestyle. ... Unless You're Ready for Some of This! 7. Getting Out of Your Car Ticks! 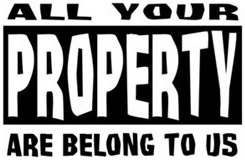 Look for your LakeCountyEye living it up near you. The Lake County exploding oil train did not explode in Lake County yesterday. In fact it failed to explode. Emergency crews are on the scene of a freight train derailment in far southwest suburban Plainfield Friday evening. The derailment happened around 7:30 p.m. near Rte. 59 and Riverwalk Court. No injuries have been reported. About 25 cars derailed, police said. Police said about 40,000 gallons of crude oil have leaked from three cars. Firefighters have barricaded off the leak and prevented it from reaching the DuPage River. They are also taking all possible precautions to prevent a fire from starting. The Canadian National train was traveling northwest at the time of the derailment. One spokesman with his ear to the rail explained the misfire: "The train derailed in Plainfield and not in Lake County for the same reason Canada observes the Fourth of July on July One: Canadians operate on their own time schedule."